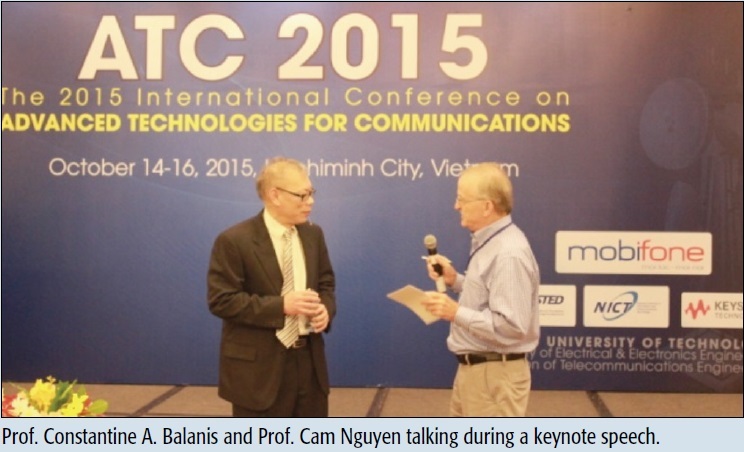 The 2015 International Conference on Advanced Technologies for Communications (ATC2015) was held in Ho Chi Minh City October 14-16, 2015. 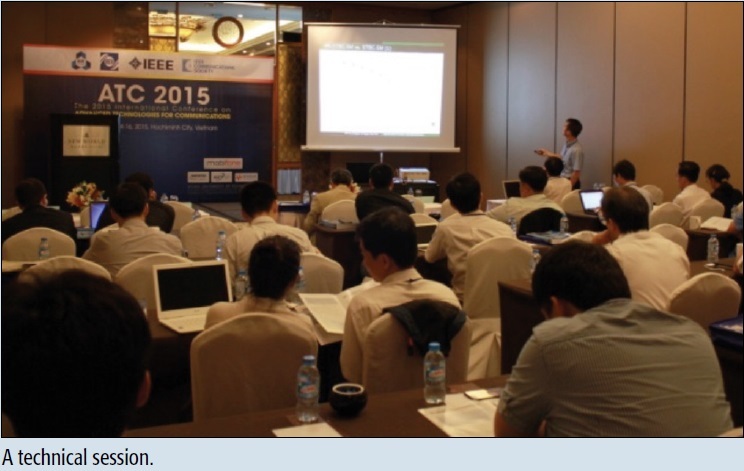 The conference was jointly organized by the IEEE Communications Society, the Radio-Electronics Association of Vietnam (REV), and Ho Chi Minh City University of Technology. The main theme of the conference was Technology Integrating Antennas and Radio Frequency Integrated Circuits. The Technical Program Committee (TPC) of the Conference accepted 129 papers, including 100 oral presentations and 29 poster presentation. All papers will be indexed by IEEEXplore. ATC2015 attracted more than 250 scientists and researchers from 30 different countries around the world to discuss the latest advanced technologies in electronics and communications. The technical sessions of the conference were focused on various topics, including antennas and propagation, microwave engineering, communications, signal processing, biomedical engineering, networks, IC and electronics design. One of the important successful events at ATC2015 was the presence of the world leading keynote speakers. Three keynote speakers presented innovative technologies in wireless communications. First, at the opening day ceremony, Prof. Constantine A. Balanis, Regent’s Professor at Arizona State University, USA, delivered the speech, entitled “Smart Antenna: Technology Integrating Antennas, DSP, Communications and Networks.” Prof. Balanis’s speech garnered special attention from more than 250 delegates. It was followed by the keynote speech, “Wireless Powered Communication Systems: Overview, Recent Results and Challenges,” by Prof. Robert Schober, Chair of Digital Communications, Alexander von Humboldt Professor at Friedrich-Alexander University of Erlangen-Nuremberg, Germany. In addition, sessions on various topics were presented during the three days of the conference. A total of 129 papers were accepted to be presented at the conference out of 220 submitted papers, yielding an acceptance rate of 58 percent. 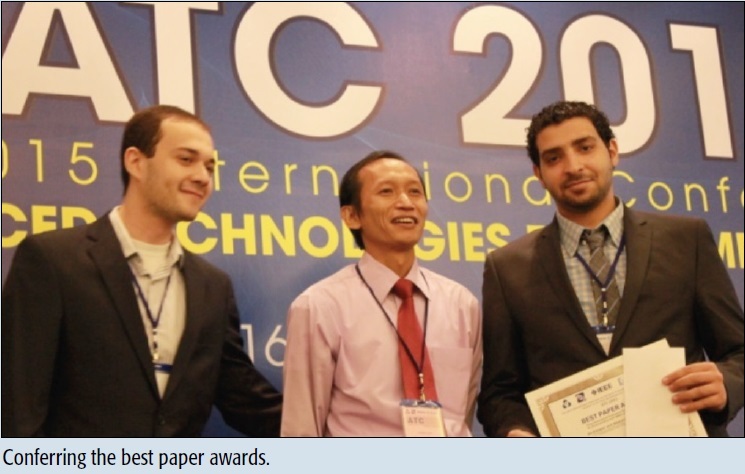 More importantly, the Technical Committee chose two excellent papers to receive the best paper awards. In addition to regular sessions, ATC2015 also featured a special session on “Computational Science and Computational Intelligence,” and two tutorial sessions: “Small Cells for 5G: Fundamentals and Recent Theory” by Prof. Tony Q. S. Quek, Singapore University of Technology and Design, Singapore; and “Radar System Engineering” by Dr. Lee Kar Heng, Chief, TBSS Group, Singapore. During the conference, the conference organizer cooperated with the National Institute of Information and Communications Technology (NICT), Japan, to hold aworkshop on Revolution and Evolution of Photonic Technologies. ATC2015 presented great opportunities for long-term and sustainability collaborations between scientists in Vietnam and other countries. The next conference is scheduled for 2016 in Ha Noi, Viet Nam.